Synopsis: Senator Michael Stewart is a moderate Republican, trying to bridge the partisan divide in Washington. When a corporate lobbyist and a Tea Party challenger threaten his re-election bid, Stewart stands by his principles and votes to regulate Wall Street. 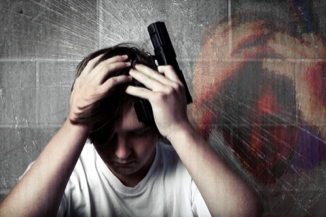 In doing so, he reveals a fateful decision that could destroy him. Synopsis: After Michael Mason loses his job on Wall Street, a troubled decision lands him back in Iowa under the care of his distant father, Hal. Michael soon reconnects with an old friend and his ex-girlfriend, and decides to build a new life in Iowa. But then an unexpected phone call and betrayal change everything, putting his newfound beliefs to the test. *Published by Indie Theater Now. The Secret Keeper: Ahmad is the groundskeeper at a cemetery in Afghanistan. When a local mother visits the cemetery, she befriends Ahmad and unearths a troubling secret that unites them both. Hard Truths: When Sally Sue Maple goes back to school shopping with her son Casey, she's forced to confront a truth that could upend their entire family. Produced by The Drawing Board and Nylon Fusion Theatre Co.
Let You Help You: Dr. Goldfarb is the world’s worst therapist. Or is he? Produced by Nylon Fusion Theatre Co.
Freedom From Thought: Pi Sigma Alpha erupts into chaos when one sorority sister becomes aware of the horrors of the world. Produced by Nylon Fusion Theatre Co.
Nice Guys: A lovable schlemiel is forced to question his belief that nice guys finish last. Nylon Fusion Theatre Co.
Best Boss Ever: Instead of firing an intransigent employee, the world's best boss finds a loving way to exact revenge. Written with Matt Jordan. Performed Off-Broadway by the Abingdon Theatre Company in November 2012. 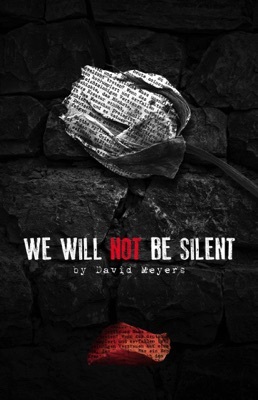 "We Will Not Be Silent"‎ tells the true story of Sophie Scholl, a German college student who led the only major act of civil disobedience to the Nazis during the Second World War. 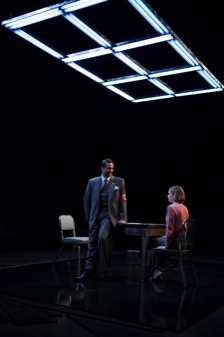 The play is not about the Holocaust - but examines the role that ordinary Germans played in the rise of Hitler, and the strength and courage that led a group of German students to risk their lives for a righteous, but hopeless, cause. "On the other hand, 'We Will Not Be Silent' raises very important issues and is a much more fully realized drama with fully realized characters." 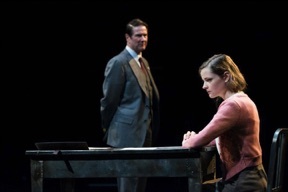 "There are truly magnetic performances here"
BWW: "We Will Not Be Silent at CATF: A Gripping Struggle for Souls"
"The genius of the play is how this ambiguity is handled up until those last three pages." "This is not just her existential question: It is his as well. It would appear that Grunwald has made the opposite choice. But has he? At the very end of the play, that question is reopened." "The theatergoer will not resolve these moral and logical dilemmas entirely, but will leave the theater breathless from identifying and working through them as far as he or she can." "Their rapid-fire arguments are like two heavyweight boxers circling each other, warily, but with murderous intent. When one or the other lands a telling point, you can hear the audience collectively draw its breath." "Grunwald cries out 'But it is just words! Words mean nothing!' 'Words mean everything,' Sophie replies. John Proctor couldn’t have said it better." "Bells and whistles aren’t needed, though, when the tale you tell is as powerful as the one here." “We Will Not Be Silent” forces you to reflect upon your own beliefs and exactly how much you might sacrifice for them." "'It’s just words, Sophie,' Grunwald advises his prisoner, hoping to save her life. 'They mean nothing.' 'They mean everything,' Sophie snaps. Indeed, they do." A "gripping," "powerful," "nail-biting," "chilling one-act play" that is "loaded with dramatic and highly emotional moments." "A psychological thriller," "an intense political and philosophical chess game." "What lingers long after the final curtain are the wickedly interlocking moral dilemmas." "This is the beauty of a script that would otherwise have been cat and mouse." "Questions of faith, honor and courage are not new ones, and more relevant at this time in history than ever before. Intelligence is never boring, and psychological action is the most powerful ballast in a drama of ideas." "We Will Not Be Silent at CATF is an extraordinary theatrical experience based on true events." "We Will Not Be Silent was certainly not the show to remain silent about at the Contemporary American Theater Festival this summer." "The play packs a lot of power into a small space and you’d expect that this show would come to a New York theater in the near future." "The pulsating questions in your head after seeing this play will be: .... What am I doing to stand up for what is right in 2017? You may not have immediate answers, but the fact that the questions are in your head means that theater has done its job." Synopsis: Kevin McFadden hasn't spoken to anyone since he killed 17 people at a shopping mall three weeks ago. But when a prison doctor takes an unexpected interest in his case, Kevin decides to meet with him - revealing a troubled past that unites them both. Sam Goodstein prosecuted Julius and Ethel Rosenberg for treason, in the crime of the century. Their conviction led Sam and his wife Judith to success, notoriety, and a world that had been previously closed to them. But when troubling questions arise about the case, Sam and Judith must decide how much they're willing to sacrifice for that success, and how much they can compromise and still stay who they are. ROSENBERG examines power, equality, and political courage in Washington, DC -- and what has changed -- or hasn't changed -- since 1953.